Use the form below to download the brochure. As a well established business, operating nationally and overseas, we recognise the importance of Corporate Responsibility in the way we conduct our business. We're proud to be an environmentally conscientious organisation, commitment to environmental protection and zero landfill. We are accredited to BSEN ISO 14001:2004, with a fully audited environmental management system in place. As part of any relocation, we can recycle, donate or sell all of your unused and unwanted items - in ways which will benefit the environment and your local community. 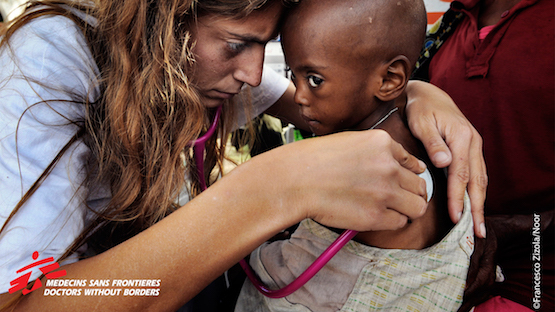 Our corporate charity is Médecins Sans Frontières (MSF), who provide medical care where it's needed most. Also known as Doctors Without Borders, MSF is an international humanitarian non-governmental organisation best known for its projects in war-torn regions and developing countries affected by endemic diseases. All our employees take part in fundraising for Médecins Sans Frontières, and are committed to raising funds all year round through various fundraising activities. We were extremely proud to be supporting the Save Nicola campaign whilst working in Workington in February. Nicola White from Llanelli was diagnosed with rare bone cancer (osteosarcoma) aged just 15. Now 32, married with two children, Nicola's battle with cancer continues. Nicola’s cancer is extremely rare but treatment (not available on the NHS) would prolong her life significantly. Nicola’s family and friends set up a fundraising campaign to raise money for highly specialised Proton Beam Therapy which was only available abroad. They needed to raise £75,000. We're pleased to say that Nicola raised the money she needed for the treatment, and we're proud to have supported such a great cause and wish Nicola well in her recovery. You can read more about Nicola's journey here. You did everything that we asked. We have used Johnsons 3 times in the past 2 years and have always found them professional and the removal guys really friendly and courteous. An excellent service carried out by people who cared. Right through from quotation to move into storage and back out again. Very impressed with the service offered from beginning to end. Overall, very good value for money. Everything was done very well and to our satisfaction. I send my deepest appreciation for the hard work and polite good spirits not to mention speed with which the men did their job. Many thanks to them and your firm for another successful and minimal street move. I wouldn’t hesitate to use you again. Everything went very well, the move was brilliant. Any comment would be I lost my snake and the guys wouldn’t help look for him as they were scared (he has been found now). Very helpful with what turned out to be a very difficult move. The movers were great, helpful, friendly and nothing was too much trouble for them. Thank you for packing us up and moving us into our new home. Everyone was brilliant, friendly, professional and funny. Most stress free move I’ve ever had and I’ve done quite a few house moves. With all best wishes and again my appreciation for your most courteous and helpful attention throughout my association with Johnsons. A pleasurable experience from start to finish. 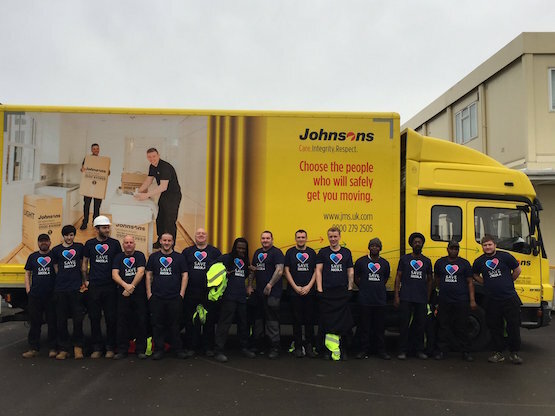 Johnsons is a member of the British Association of Removers (BAR), which means that you can be sure that we deliver the highest standards demanded by the UK’s leading trade association. We are accredited by a number of industry bodies for quality management, health and safety, and risk management. The certifications and accreditation below are evidence of our commitment to doing things right. The quality of our work is independently monitored by Referenceline. You can read many testimonials and reviews of our work online at www.referenceline.com.